In late 2018, GLUE Studio were commissioned by Danspree to design the brand identity for its website. Our team developed the website using a front-end platform which offers e-commerce facilities covering payments and CRM. 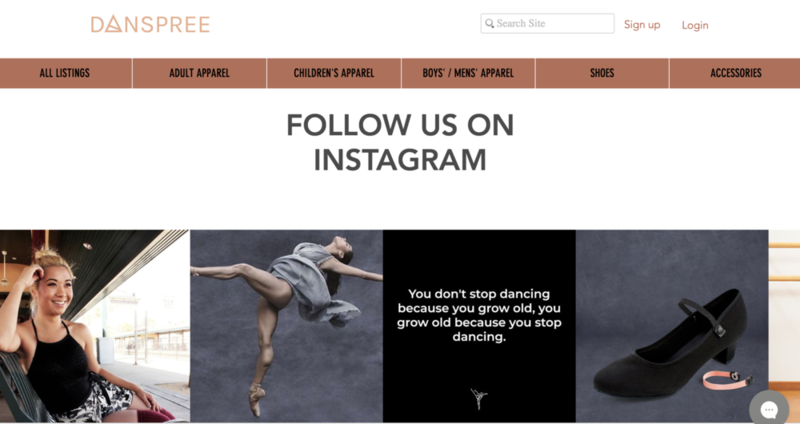 Danspree is an e-commerce marketplace for the dance community based in the US. Sustainability is at the heart of its business model. Dance clothes and accessories in perfect condition that are no longer used can be sold by members of the Danspree marketplace. Retail items on Danspree can be divided into five main categories: adult apparel, children's apparel, boys' / mens' apparel, shoes and accessories. Under shoes alone, you get many types such as ballet, tap, jazz, character and social dance. Do check out this brilliant initiative and see if there's any pre-loved dance item that you'd fancy for your dance class.